Hashim Qureshi's blog: Civil disobedience, hartals and stone pelting? Civil disobedience, hartals and stone pelting? Since 9 February 2013, Kashmir has again run into turmoil, strikes, arrests, stone pelting and martyring people. People are at a loss to understand why when there is semblance of normalcy rulers in New Delhi or in J&K frantically seek a pretext to reverse the situation. The decision of hanging Afzal Guru was taken all of a sudden. Not allowing him a meeting with his family members, no review appeal of his case, and not returning the dead body to his family, are the acts the like of which disrupt normalcy in Kashmir. The cycle of oppression has been set in motion once again. As a consequence, Tahir Ahmad Sofi of Baramulla was martyred without any provocation. Mudassir Kamran, a student from Pulwama doing PhD in Hyderabad University was found hanged in his room. Instead of resolving the tension, the government imposed strict curfew which added to the difficulties of the people. 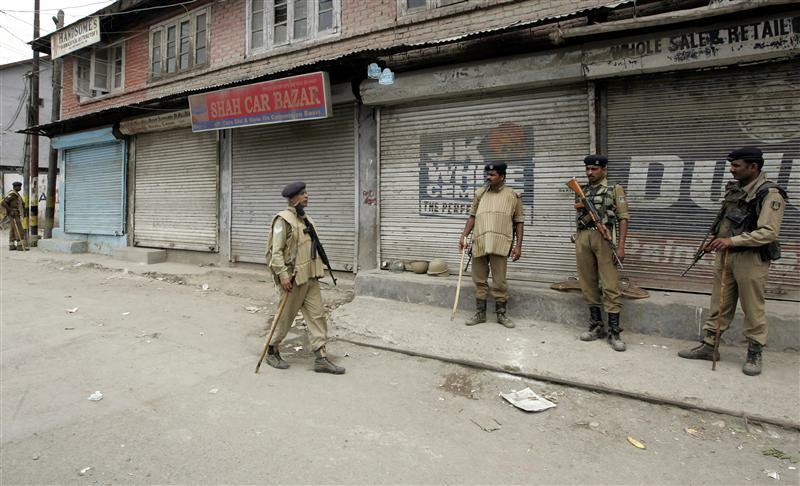 A suicide attack took place on 12 March in Bemina which warmed up political instability in Kashmir. The opposition in the Indian Parliament and the extremists raised the slogan of “kill and declare war”. Indo-Pak relations dropped to a freezing point. The outgoing Pakistan National Assembly passed a resolution condemning political execution of Afzal Guru. People ask why for five long years there was no resolution on Kashmir in Pakistan NA and why did a resolution come just two days before the Assembly’s term expired. Maybe it was to win the vote bank of Kashmir’s. Pakistani government demonstrated no reaction nor issued any statement at the time of execution of Afzal Guru. The era of civil disobedience and violence has not begun just today. Such movements were to be seen in 2008, 2009 and 2010. These ended up without any result. In 2008, more than 68 Kashmir’s were martyred and in 2010, the number of martyred persons rose to 117 which included children. There was five-month long strike and stone throwing events and curfew imposition. All that the Kashmiri community achieved was economic and human loss. We the Kashmir’s have strange psychology. We begin to bemoan our defeat and loss only after the event and then every person accuses the other for the failure. 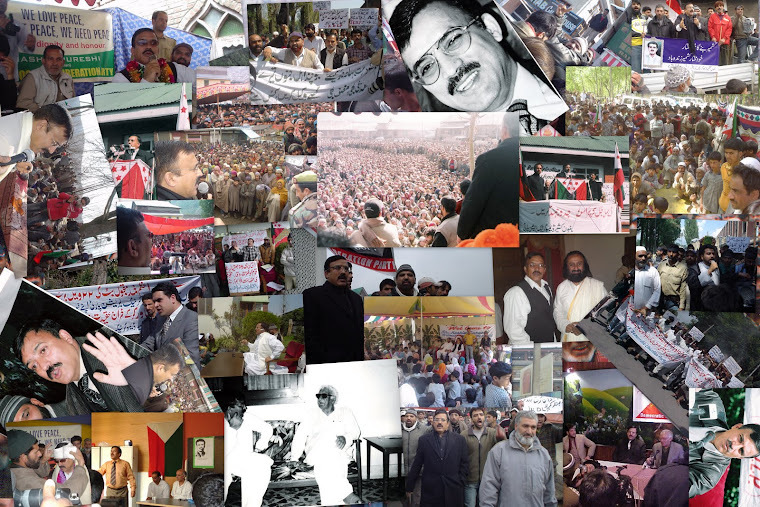 During 2008 movement, separatist organizations forged a temporary unity among themselves. In reality, there was not unity as such, as it came to an end when the movement died down. The 2008 Movement gave the impression that Kashmiri community will never come out of their homes to participate in the elections. But the elections in 2008 became a big joke. More than 60 or 70 % votes were cast at various places. Media was given the pretext that votes were cast not for the Kashmir issue but for roads, water and electric power and other developmental activities. We were unable to make the people understand that those who failed to provide water and electricity for sixty long years, could not guarantee the supply of these facilities in next six years. There were some demonstrations in 2009. Even then we did not converge on any minimum programme. In 2010 some boys returning from tuition class or playing cricket were martyred by the security forces. This worked as catalyst to a long civil disobedience movement in Kashmir, and political parties immediately formed another unity coordination committee. 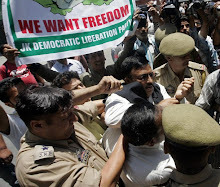 Despite that, the two factions of Hurriyat made a show of their strength in individual demonstrations. That unity did persist for some time but only under pressure from the public. There was a long strike in 2010 that harmed the education of our children. Yet the result was zero. The movement died down but only after 117 persons, mostly children, had achieved martyrdom. In 2011-12 the people were not in any mood of carrying forward the movement. It did not proceed and the separatist groups had no programme of running a movement. Conditions were more or less normal in Kashmir. But the Indian rulers managed to stir the hornet’s nest. They executed Afzal Guru. His dead body was not handed over to his family but was buried in Tihar jail. The separatist parties formed Majlis-e Muttahida Mashawarat (MMM) with one-point agenda of bringing back the dead body of Afzal Guru. Since the mortal remains of Maqbul Bhat the martyr also remain in Tihar jail, his name was also got appended to that of Afzal Guru. 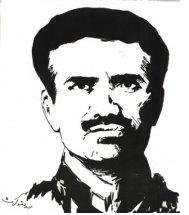 Maqbul Bhat was executed twenty-nine years ago. No movement ever shaped in Kashmir demanding return of the mortal remains of that Martyr. Some questions arise which cannot be effaced just by circumventing their reply. We shall have to seek their answer if we mean to help the community move onwards to arrive at the fixed goal. 1. Do the political parties with separatist agenda mean to lead the people only after they have initiated the movement or should political parties come forward with some programme to lead the nation? 2. Unity forums under different names, like Action Committee, Mashawarat or Coordination Committee etc. are formed every year that too only after the movement is afloat and before the next movement begins their names are no more heard nor even their addresses. Then a new Unity Forum comes into being. 3. A question arises in the mind of people why there does not happen unity among the parties that want accession with Pakistan when their ideology is the same. In the same manner there are several groups striving for making Kashmir an independent state. Why don’t they come together? Why the parties believing in two-nation theory do not unite at least for the cause of freedom of Kashmir or for the self determination of Kashmir’s. Why do they wait for some accident to happen year after year? 4. Why do not they frame six Month or one year long programme to win the opinion of the people of India including intellectuals, scholars and international experts? 5. Will the Kashmiri nation find solution to all their problems by forming the Majlis-e Mashawarat for one-point programme? The problems are like release of arrested persons, framed cases against people, AFSPA, PSA, Enemy Ordinance 3, oppression and suppression of Kashmir’s and curbs on freedom of expression etc. Will it bring freedom to Kashmir’s? It does not mean that we will stop the struggle for asking back the mortal remains of the martyrs namely Bhat Sahib and Guru Sahib. We believe that the common programme drawn for winning freedom, we continue this and other demands from stage to stage. Intellectuals, investors and experts are of the opinion that both parts of the J&K State are a consumer community. All consumer goods come from either India or Pakistan. We do not produce any commodity which, if not produced, could cause even 5 per cent damage to the economy of India. Strike or not, we have to buy even the smallest item from India. If during strikes we shatter the vehicles, we should remember that the parts of the broken vehicles have to be imported from India. Thus we become the source of generating the economy of India. According to financial pundits, the people of Kashmir have incurred a loss of 2 lakh crore rupees during past twenty years. From the day when Afzal Guru was executed to present day, the valley has suffered 2800 crore rupees loss. The most affected class of people by these strikes is of petty shopkeepers, small industrialists, daily wagers, carpenters, mechanics, educational institutions, tourist industry related employees and small transporters. Small industrialists and entrepreneurs take loans from the banks. Owing to strikes and disturbances, they are not able to repay the installments of loans and interest on it. They become bankrupt. This is how we inflict financial losses on ourselves. In return, we gain nothing. 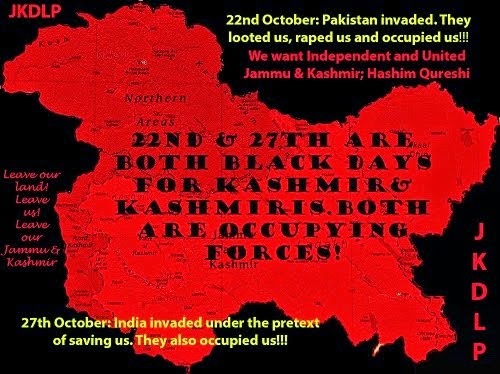 Neither the Indian rulers nor Indian people are accepting our demands. Nowhere in the world have we been able to obtain justice for ourselves owing to these strikes. No strong voice is raised in our support anywhere. 1. Everybody including commuters in the bus should observe five minute stop in the movement of the bus as a mark of civil disobedience. 2. We import meat worth 15 hundred thousand million rupees and 8 hundred thousand million rupees worth chicken annually from India. As part of civil disobedience, we can boycott import of this stuff from Indian markets. 3. One period per week should be allocated for show of civil disobedience in the schools. Only one slogan should be raised ‘Ham kya chahte hain--- azaadi. 4. No payment should be made against electricity, water and telephone bills No tax payments be made that goes to the coffers of the government. However the question is that are we prepared to bear the consequences which mean that the government stops providing these services. 5. Mohalla Committees should be formed in each locality to keep eye on the implementation of civil disobedience regime. All programmes should be run by these committees. The Committees should obtain donations from affluent people and utilize it for support to the poor, destitute and orphaned people of the locality concerned. These Committees would keep an eye on the activities of subversive and oppressive elements and stop them from going in the wrong directions. 6. A symbolic call for strike for one hour in a week can be given. Being for just one hour, it is not going to harm anybody. 7. Once in a fortnight, all the people should come out of their homes for one hour to stage a dharna as protest. It has to be disciplined and in order. 8. In no case should any act of violence be promoted or tolerated. Violence may be through a rifle or through the stones pelted on security forces. We know that generally the security forces instigate the public for stone throwing. When peaceful demonstrations are subjected to violence, people react. 9. According to UN laws keeping a gun even for good purpose, is indulgence in terrorism. We cannot reach our destination without convincing the world and without impressing upon the people of India and Pakistan about the righteousness of our cause. 11. Absence of legal aid, they will have to face the same fate that has befallen me, he had said. Our economy is depended on external factors. As such we also need economic freedom so that we are able to keep our history alive for a long period to come. It is important that we grow vegetables on and around the available land. We should also develop sheep Husbandry and poultry farm indigenously to minimize dependence on imports. In short we need to rethink our economic freedom and this would also mean making some sacrifices. In final analysis, let us be honest to ourselves. People ask the question that what the Hurriyat has given us... It is divided into three parts. Shabbir Shah left it, Geelani Sahib has his separate flock, and then Shabbir again returned to it, Naeem Khan is apart. So people ask what the Hurriyat has given them in last twenty years. There is no source of direction for the movement, no institution that would provide succor to the families of the martyrs. In absence of any help, the family had to sell away their property to maintain the family. What concrete step has been taken to achieve the target of accession to Pakistan and solve the Kashmir issue? Has the Hurriyat brought its pain and suffering to the notice of other countries? Even at OIC there is nothing more than lip service to Kashmir cause. The question is what after all is the ideology that Kashmiri nation wants to pursue and what is the direction of their movement? The movement has not moved beyond getting the youth arrested, killed and harassed, properties destroyed, strikes and curfews imposed to disrupt the economy of the people. The time has come that groups and parties and people, come together to consider what has to be done and what is the way to achieve the objectives. Without unity and convergence of views nothing can be achieved. This article was published in daily 'Greater Kashmir' on 4th April 2013.